This turn key ready condo in Sable Landing is waiting for you!! 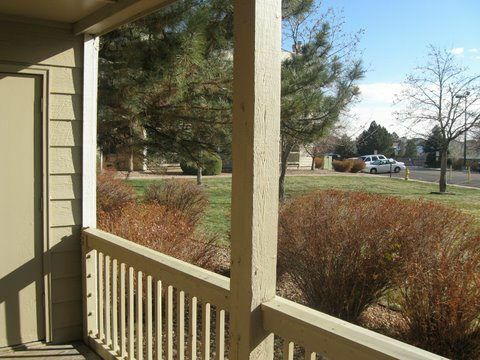 Immaculately maintained by the original owner, this unit is completely handicap accessible. A roll in shower and Environmental Control Unit (ECU) are just two of its bonuses for those buyers who utilize either a manual or power chair (32" door frames). The DENCOR unit, also already installed, helps to keep utility bills manageable by monitoring and adjusting your electricity usage, based on settings that YOU control. Southern exposure provides for a bright and cheery space. Double paned windows and window air conditioning unit make your summers cool and winters warm!!! The wood burning fireplace in the family room adds to the coziness of this floor plan. A covered patio with additional storage looks out to mature trees and lush foliage, all of which you will get to enjoy with the convenience of a maintenance-free home. This is a secured building with ample parking, community pool, and tennis courts. Easy access to 225 and shopping make this the perfect spot to call home. New kitchen appliances -- including a new washer and dryer in the unit!! -- finish off this condo’s fresh look.